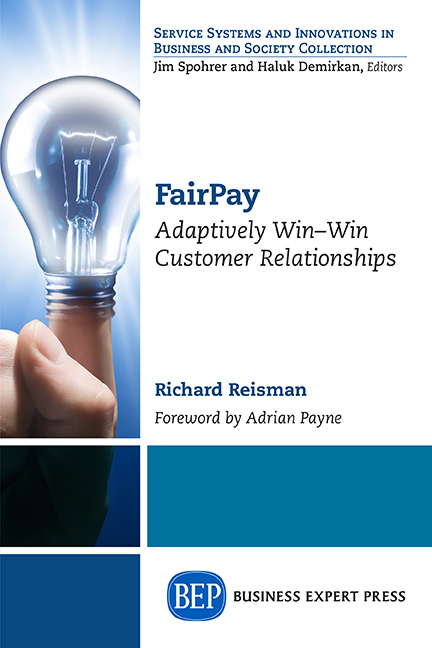 The FairPay Zone: "Invisibly"? -- Or Visibly? ..."Finding the New Revenue Stream Publishers Dream Of"
"Invisibly"? -- Or Visibly? ..."Finding the New Revenue Stream Publishers Dream Of"
"Can startup Invisibly be the new revenue stream publishers dream of?" asks Ken Doctor in his very interesting Newsonomics piece last week. There is much positive here -- but there is one fundamental concern at the heart of this -- the "invisibly" part! A reader/consumer’s "wallet" will fill up silently in the background — invisibly, you might say — depending how much value his attention to commerce is affording advertisers. Consumers won’t see these wallets, or how much content these value holders will offer them. Why? In showing actual value gained, consumers will try to 'game' the system. But I say, "On the contrary!" Hiding the wallet (ledger) seems inevitably to harm cooperation, loyalty, and willingness to pay a fair price for value -- the willingness to contribute funds that sustain the continuing creation of such value. The value of of a consumer's attention and how it affects the price they are asked to pay is secret??? How would that make you feel? Would you want to do business with a company that hides your account balance and history? a bank that wants to hide your balance from you? Consumers will feel gamed, and that will lead them to feel justified in seeking to game the system against the publisher in return. They will seek to avoid paying a fair share -- or just not buy at all -- because they feel any publisher who is hiding this ledger of value exchanged is not playing fair with them. The same reason current experiments with dynamic pricing are hated so much -- it is done invisibly, often secretly, with no apparent justification -- just a devious game of extracting the most possible from one's wallet. The publishing world (much like the larger business world) is recognizing the need to be customer-value-first -- to build a true "social contract" around their relationships and value propositions with their readers/members/customers. That requires transparency. 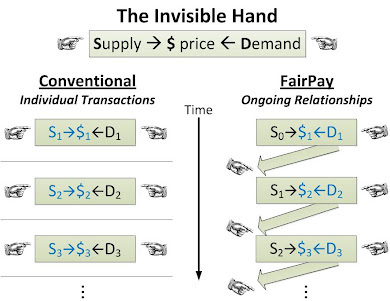 Most of the rest of what Ken reports of Invisibly seems to be a smart combination of many of the strategies of FairPay (an open architecture that I have proposed): flexible exchange of value personalized to individual reader behavior, based on "a new business model stack" that goes beyond "the binary subscribe/don't subscribe" model. An approach that seeks "a newer kind of advertising engagement" that is factored into a reverse meter to give credit for attention to ads. 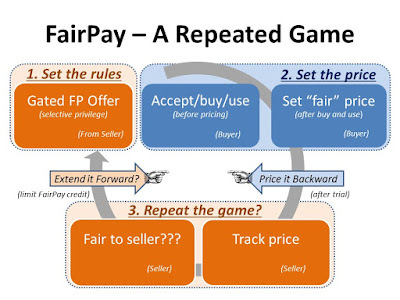 The difference is that FairPay seeks to transparently justify its new forms of personalized pricing -- doing it in ways that customers can participate in and recognize as fair -- not by "invisibly" imposing pricing that will seem arbitrary and exploitative. "What will the readers think?" As Ken pinpoints, the big question is one of "consumer acceptance and adoption." Hiding the accounting for the exchange of value seems bound to intensify the zero-sum conflict between publishers and their readers. Why not apply these sophisticated strategies in a more cooperative manner? It is time for publishers to embrace the idea that in our new world of digital, the only truly winning game is a win-win game with readers/viewers/customers. Many publishers are beginning to warm to that more customer-value-first logic. They should learn from what Invisibly has right, but in a way that is more transparent. As I said in a LinkedIn message to Invisibly founder Jim McKelvey, "You seem to be on the right track, but with one more twist needed to be win-win. (Maybe Invisibly 2.0, if not now...)" I hope McKelvey and Invisibly's launch partners will look carefully at this issue, and realize that zero-sum games of hidden manipulation are not the way to sustain a publishing business. Invisibly seems an otherwise well-conceived and formidable effort to help publishers. But that needs to be done visibly and transparently. In these times of existential threat to publishers -- in which both publishers and readers increasingly recognize a need for "a new social contract" that is win-win -- it would be a shame to turn publishers toward a darker direction that is in direct conflict with that. Invisibly seems to be smart, but what is needed is to be wise. The only way publishers will find the new social contract needed to win with their customers in a scalable and sustainable way is visibly!